In spite of the potential rewards to U.S. healthcare players entering overseas markets, there are also plenty of obstacles and risks. The first step to minimizing the chances of being burned is to recognize some of the major pitfalls in and demands of the emerging markets that provide the most opportunity for international partnerships. Here’s a quick look at five trends in the Middle East, Asia and Latin America markets, each backed by one or more examples of how these trends play out in different countries. There are roughly 300 military hospitals across China. 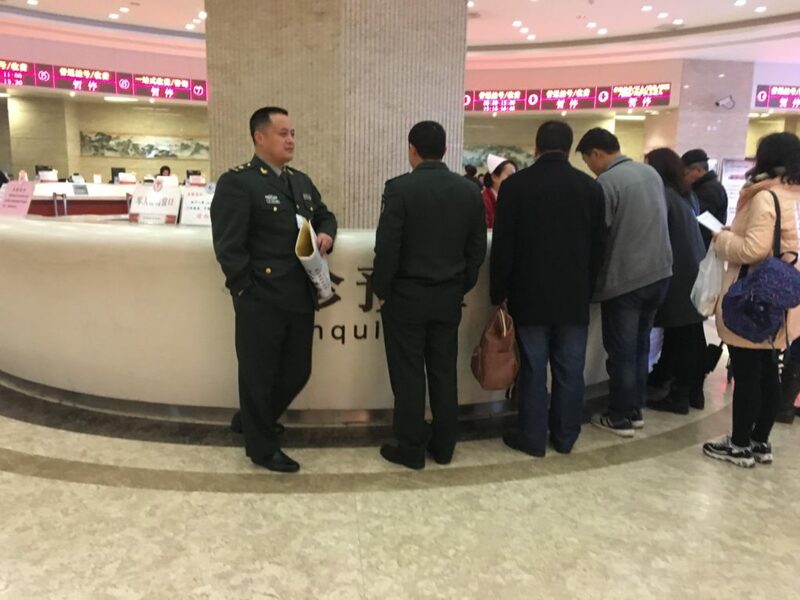 Often named “People's Liberation Army” and “Armed Police” hospitals, they tend to have access to more advanced technologies and specialty-care physicians than public hospitals. They have also long been free to see and charge civilian patient — and haven’t been subjected to the same tight regulation as public and private hospitals. They’ve even been free to partner with private facilities. The government, meanwhile, has gone back and forth on whether military hospitals should continue to operate as somewhat ambiguously open to patients as quasi-private organizations, or should be restricted from seeing non-military patients, or should simply be converted to public hospitals. Any big policy change on this issue would likely send waves through the healthcare system, both public and private. But as is often the case in China, predicting what the government will do — or even what it’s doing right now — is tricky at best, and often revolves around rumors and contradictory statements. In March 2016, government representatives served up a statement suggesting that military hospitals would no longer be allowed to operate as quasi-private facilities, followed just a few days later by a different government press conference that sought to assure the public that military hospitals would remain open to civilians. The looser regulation has cut both ways, too, allowing military hospitals to provide experimental treatments not available in other hospitals, but also leading to patient deaths that some tie to lax oversight. No one seems to be sure how these questions will be settled — just more riddles in the confusing picture presented by China healthcare. “Governments are increasingly looking toward the private sector to create leaner, more efficient, and cost-effective healthcare infrastructure, which makes this market ripe to enter and invest,” says Ron Lavater, a director at Optegra Eye Health Care, and former CEO of UAE’s Al Noor Hospital Group and of Bangkok’s Bumrungrad Hospital. Meanwhile Abu Dhabi is putting public hospitals and health facilities under the management and operational control of the private sector. For example, Ohio-based Cleveland Clinic now manages the Sheikh Khalifa Medical City, while Johns Hopkins Medicine International gained complete managerial responsibility over Ain Tawam Hospital. Faiyaz says the same trend applies to Kuwait, Oman, Bahrain, and Saudi Arabia, where two-thirds of healthcare spending still falls under the public sector. Saudi Arabia’s Ministry of Health, for example, plans to privatize 295 hospitals and 2,295 health centers by 2030. “Other Emirates need to look at Dubai’s free zones as models for allowing full ownership by international providers,” Faiyaz adds. Ingrid Ritter, Latin America Healthcare Strategy Manager for UPS, has been overseeing the company’s growing involvement in the shipment of medical equipment, pharmaceuticals and hospital supplies into and across the continent. She notes that while more and more global healthcare players are shipping into Latin America as patient demand and spending on healthcare rises, many are struggling with the challenges of shipping, clearing customs, warehousing product and distributing, all across an infrastructure that is often lacking in key ways. Bangkok’s Samitivej hospital struck a deal in 2014 with Oregon Health and Science University’s (OHSU) Doernbecher Children’s Hospital, under which OHSU would advance Samitivej’s critical care programs. Jan Freitas-Nichols, the director of OHSU’s Southeast Asian Children’s Health projects, notes that one of the ongoing challenges has been difficulty in upgrading the status of nurses. The problem, she says, is the nurses themselves, who tend to shy away from accepting the elevated authority they’ve been offered. Oregon Health and Science found that to be true in Thailand, says Freitas-Nichols. She points out that the country’s medical system exceeds U.S. healthcare when it comes to hospitality. In Thai medical centers that hospitality extends to employing a holistic approach to care not only for patients, but also for their families. That approach has long attracted patients from around the region and even around the world who are seeking more attentive care for emotional needs as well as for their physical complaints. U.S. medical professionals and hospitals could learn from that, says Freitas-Nichols.